1. 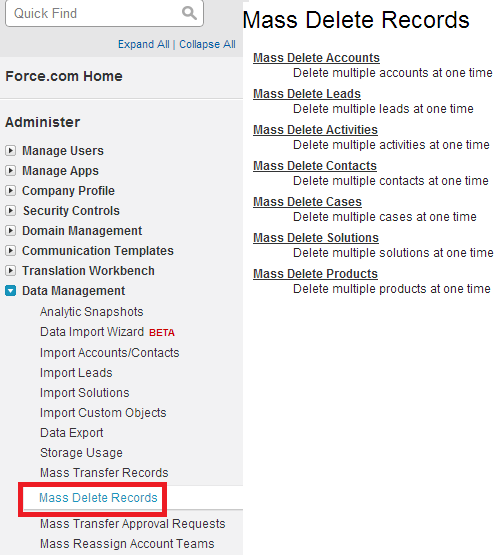 Go to Setup --> Admin Setup --> Data Management --> Mass Delete Records. 2. 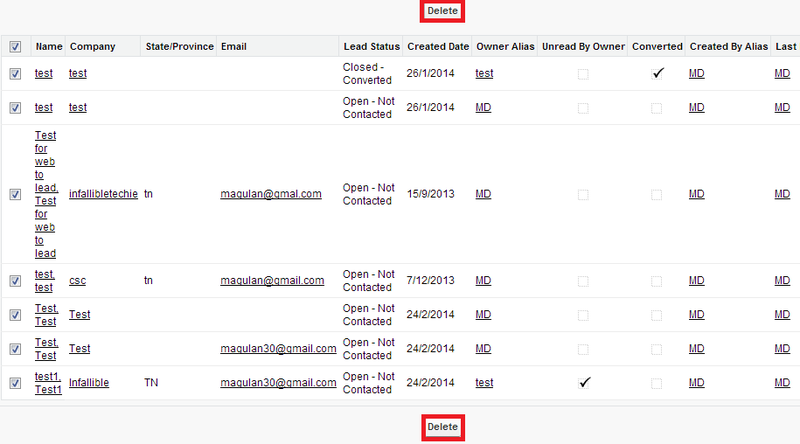 Select which object you want to delete. 3. Enter the criteria to search the records. 4. 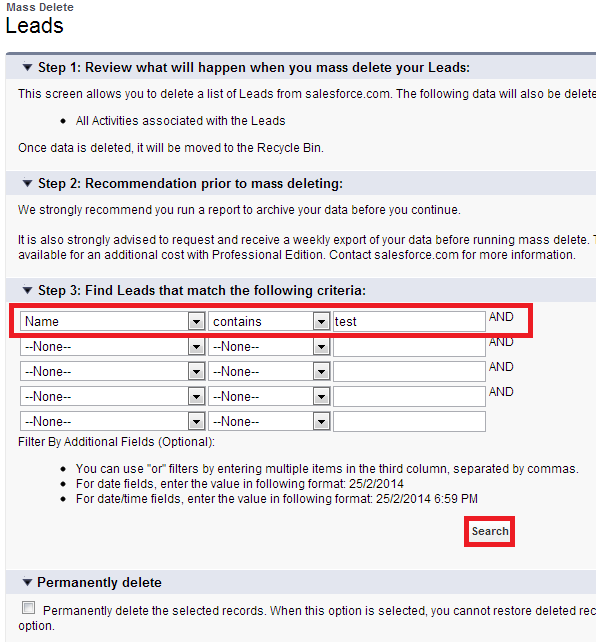 Select the records and click "Delete" button to delete the records.